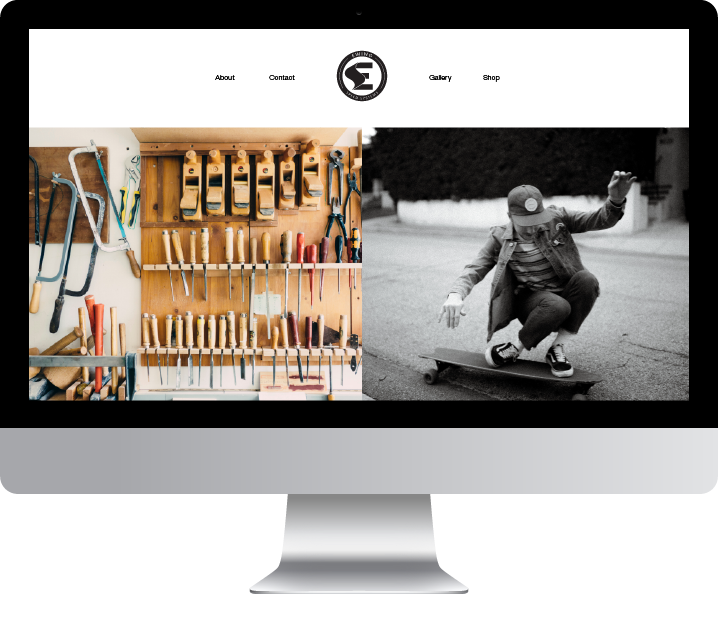 Rick Ewing has a mind at work, when he retires his dream is to open a workshop where he makes custom skateboards, bikes, scooters, model airplanes and really anything that moves. Together we developed Ewing Speed Systems, his workshop brand that embodies the engineering process behind each project and the thrill of riding on one of his designs. The visual brand joins the two most important aspects of Ricks work, the devotion and genuine believe in the process that comes with an engineering mindset to figure out how a thing works and the fun excitement of being on a bike of skateboard. The visual branding emphasizes this process and the delight in building as well as making references to skateboards from the 1970’s when Rick was growing up and finding his passion for them.